Milwaukee Opportunities: A Review of Jack Bruce's Album, "Silver Rails"
A Review of Jack Bruce's Album, "Silver Rails"
Jack Bruce's latest solo album, "Silver Rails", is slated to be released tomorrow (Tuesday, April 15, 2014) here in the U.S., having already been released in the U.K. back on March 24. It is well worth the investment. The legendary bassist, vocalist, and song writer, perhaps most easily identifiable for his work with Eric Clapton and Ginger Baker as the '60s British power trio Cream, which quickly rose to international stardom in its short two-year run from 1966-68, is also quite the successful solo artist, with nearly five decades under his belt now and still going strong. 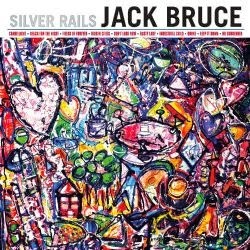 Long known for his ability to team up with other musicians and reach across multiple musical genres to produce unique and innovative sounds, Mr. Bruce hits the high mark again with "Silver Rails", his first studio album in a decade. Featuring elements of blues, rock, jazz, and R&B, his vocals are soulful, his bass playing on target, and, just as important, he has a solid team backing him. The guitar work, horns, keyboards/organ, drums/percussion, etc. - all done to perfection. Again, well worth the investment. A must-have for anyone who simply appreciates good music. I'm already particularly hooked on the songs, "Candlelight", "Fields of Forever", and "No Surrender". For further information and for details on special editions and packages, please see the official press release announcing the album. 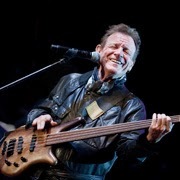 Visit Jack Bruce's Web site at www.jackbruce.com .